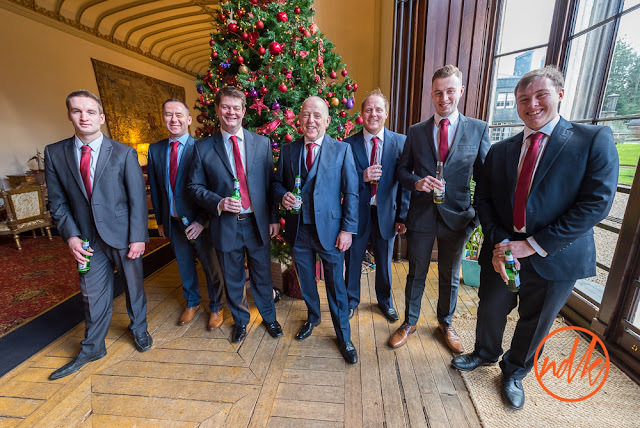 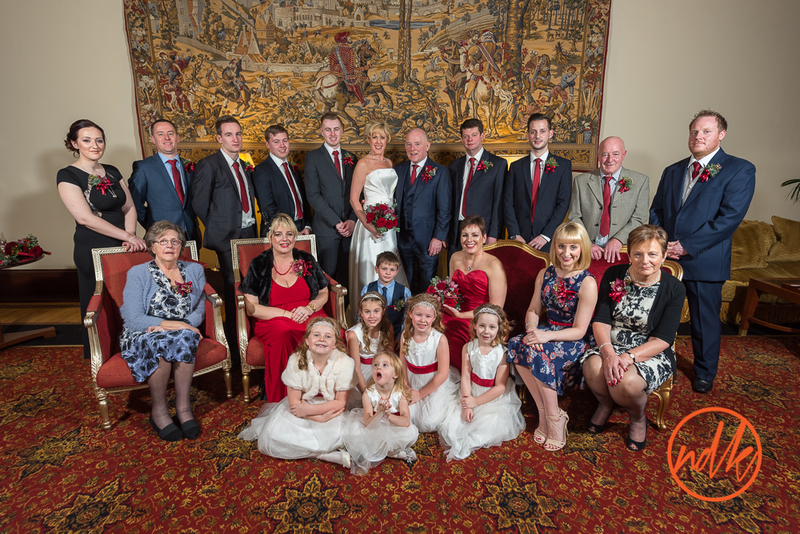 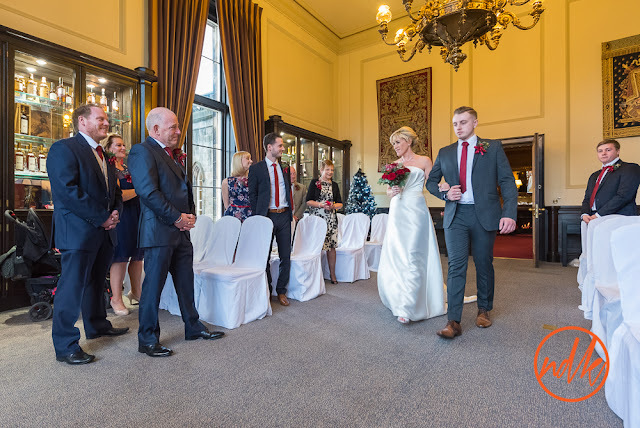 On Christmas Eve I was back at Mar Hall Hotel for the wedding of Louise and Barry, this was a small wedding with only close friends and family in attendance. 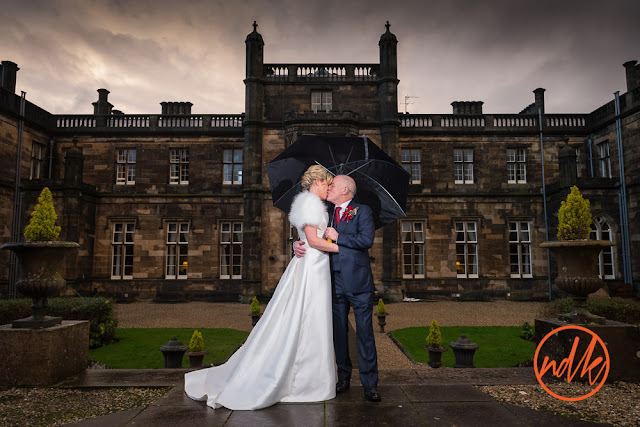 Unfortunately the weather was not playing ball and the day was a bit dreek as we say up here (grey and wet), not that this dampened the emotions of the day. 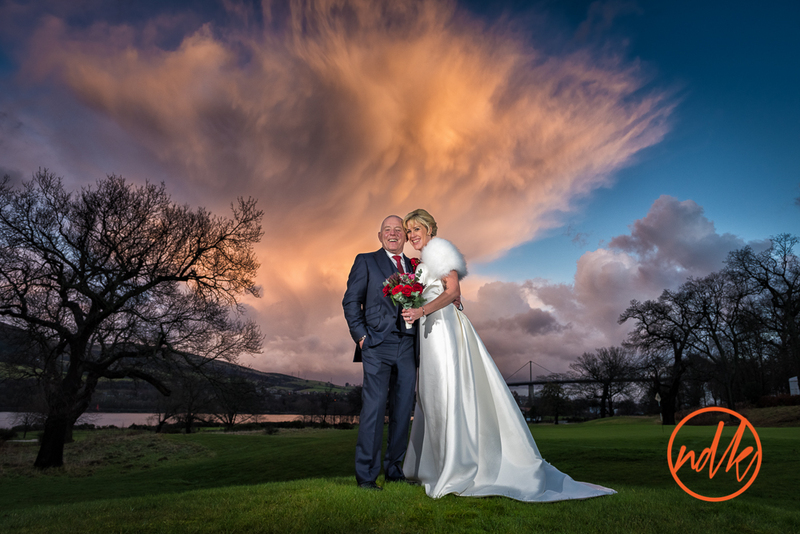 We did manage to get outside for one or two photographs, I was hanging on for a break in the clouds that came just at the right time. 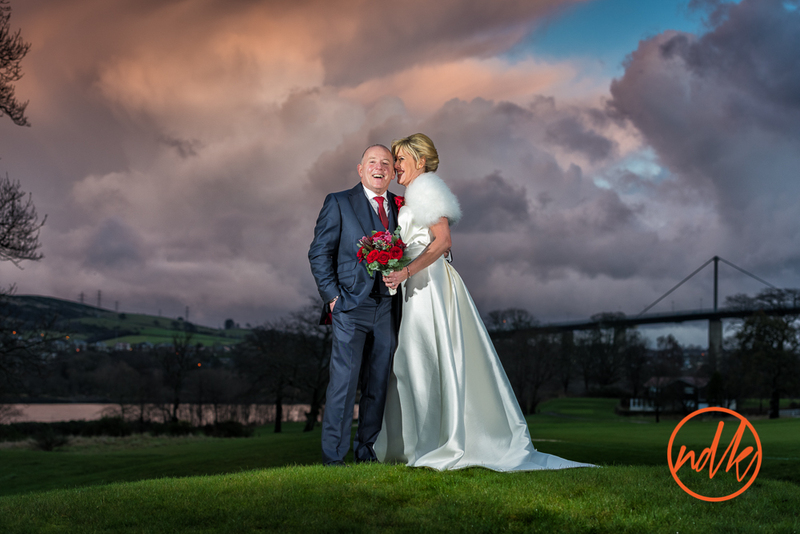 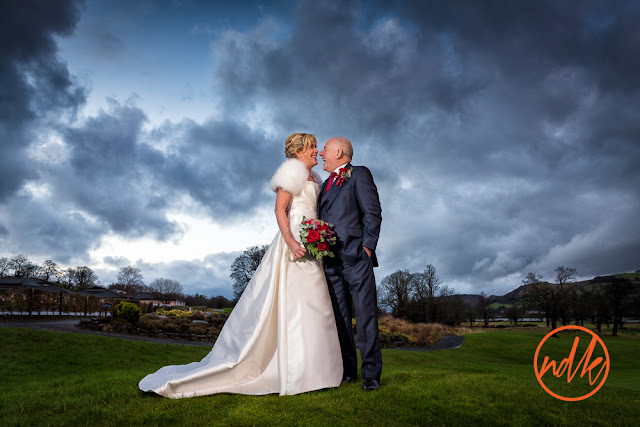 We nipped into the gardens and onto the golf course to create a few portrait photographs as the sky above us cleared and allowed for the suns warmth to fill the clouds with colour ... only for about one minute! 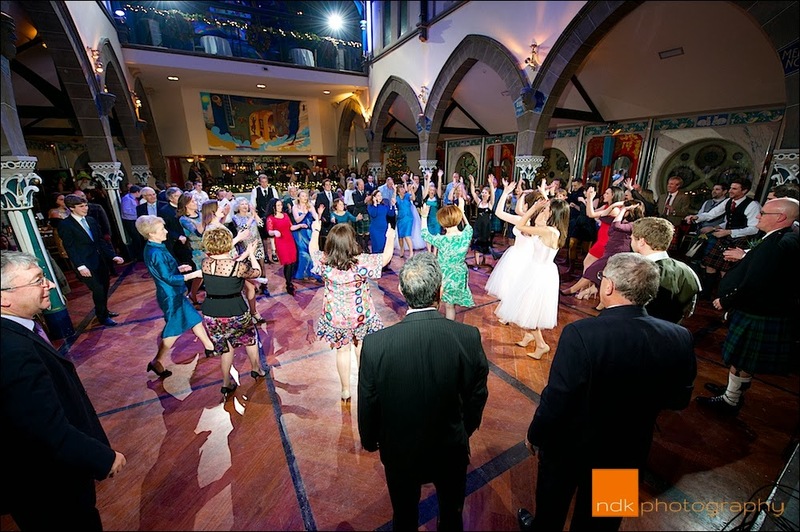 Here are a few of my favourite photographs, if you were a guest at the wedding and you would like to see a few more, please get in touch. 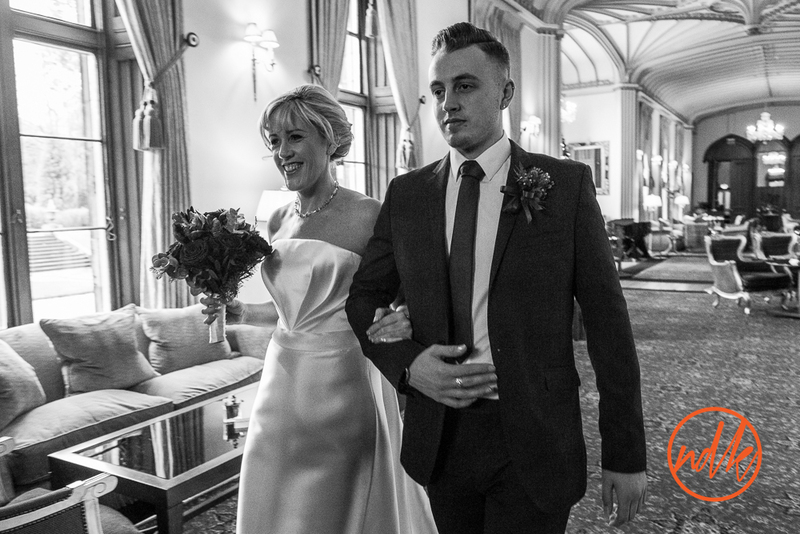 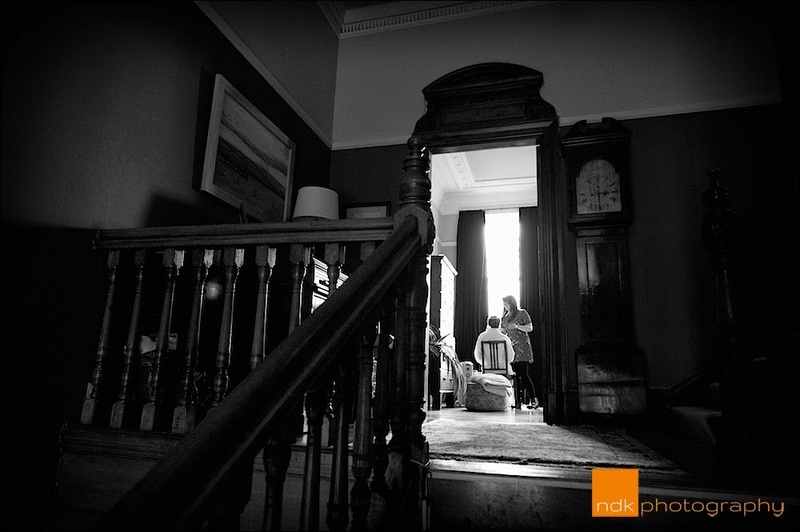 It has been a busy week catching up with the editing of the weddings I photographed over the Christmas and New Year period. 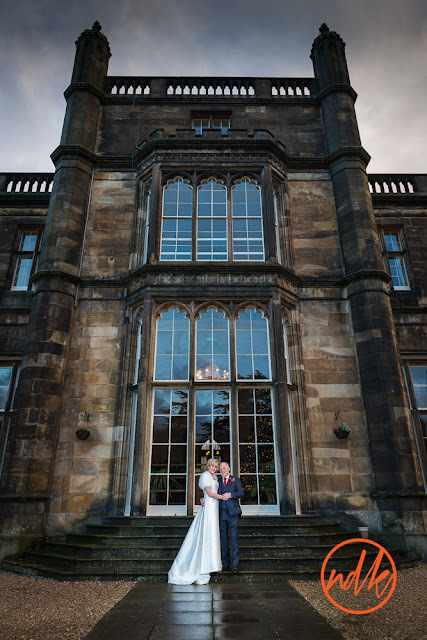 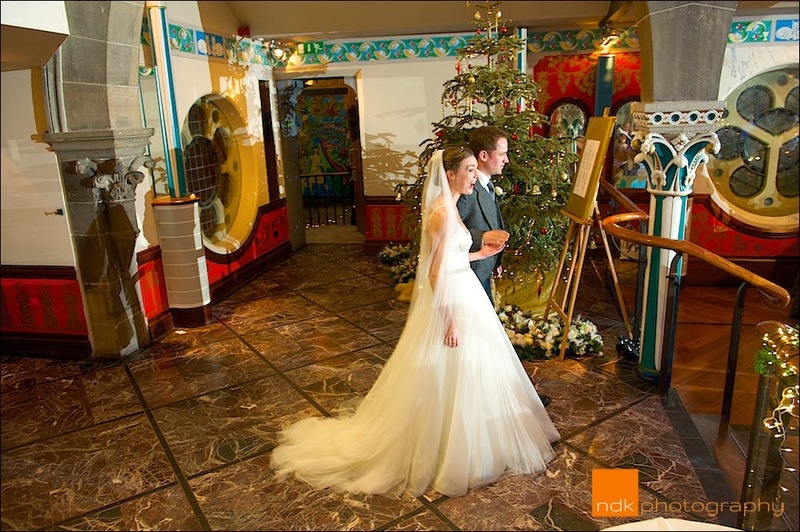 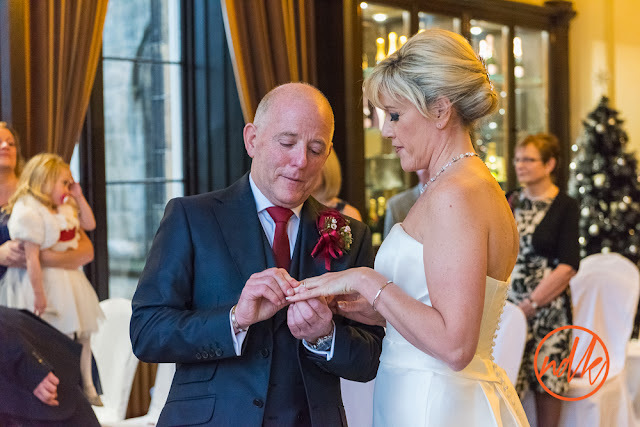 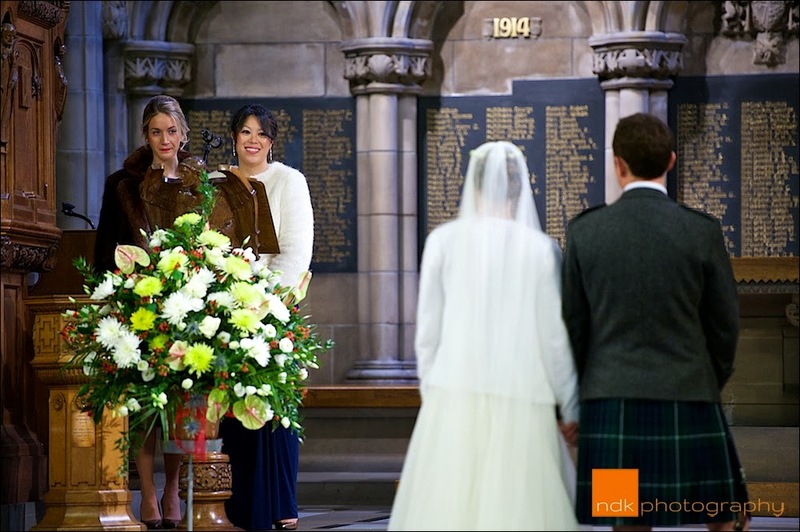 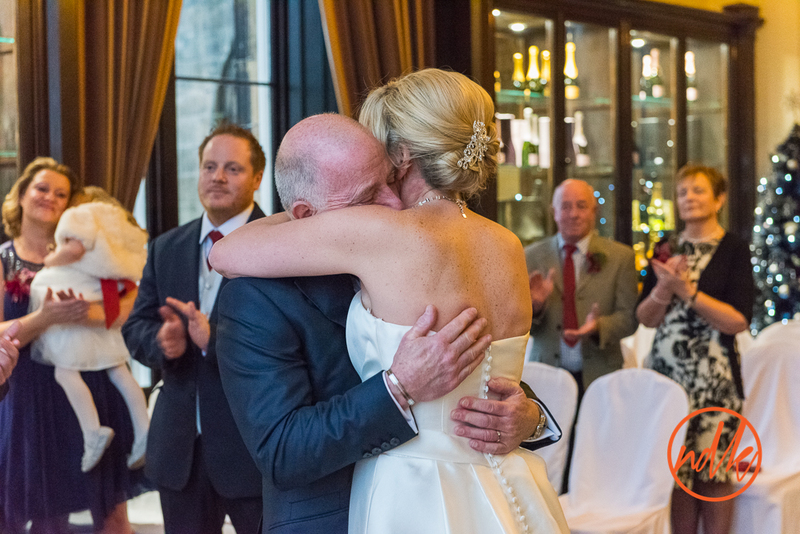 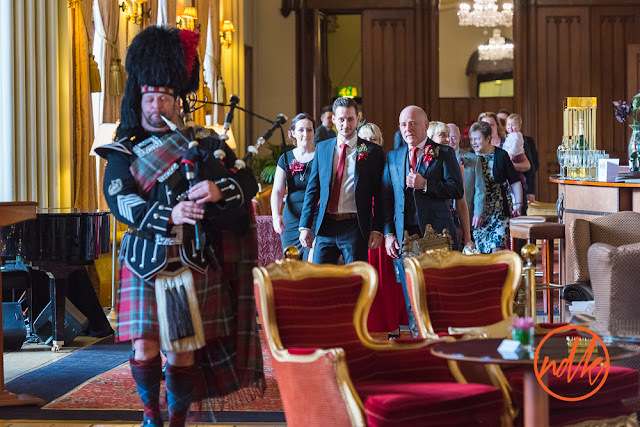 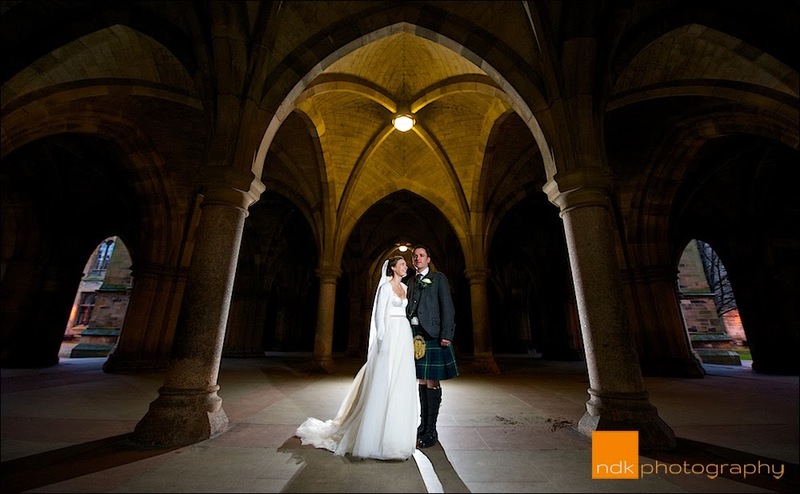 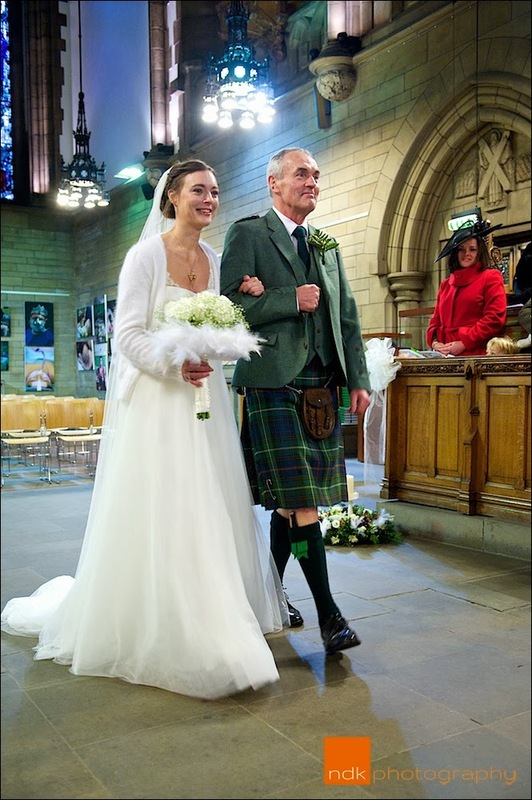 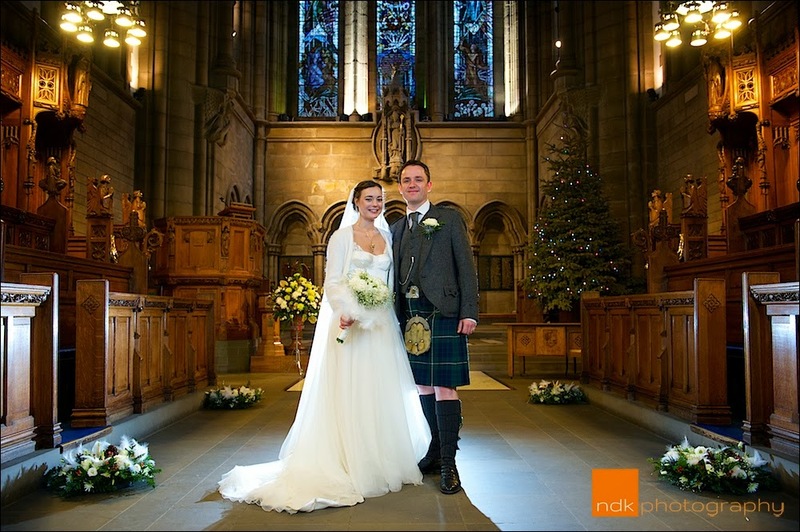 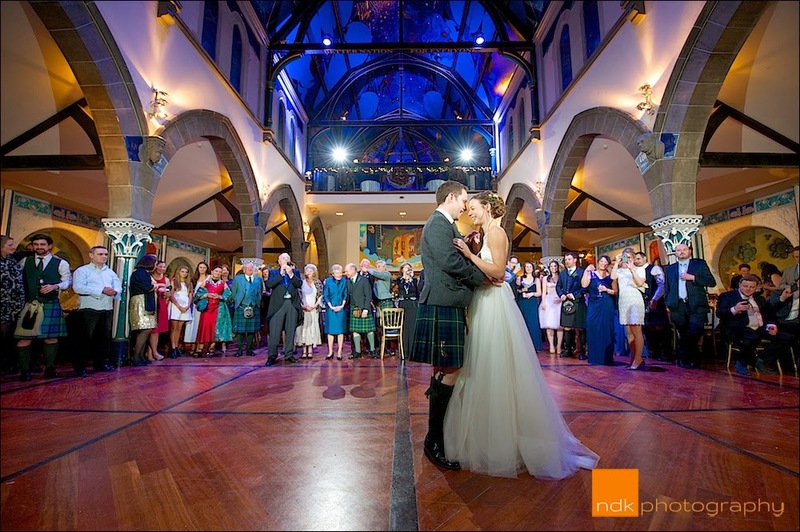 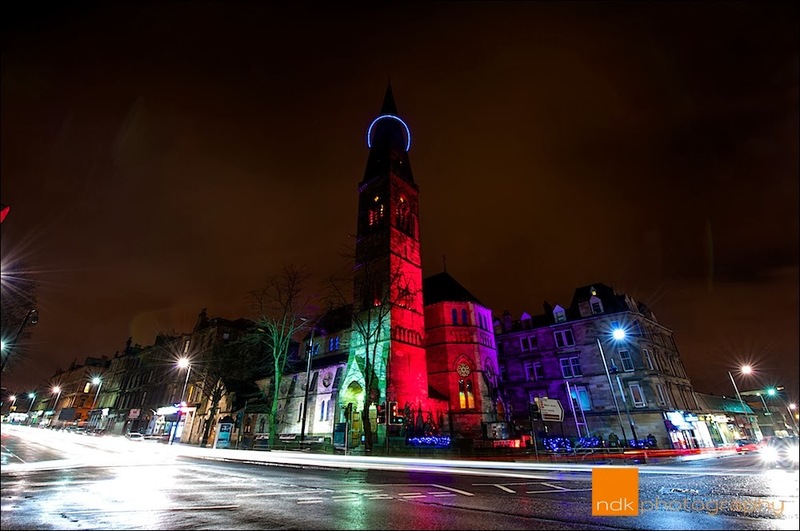 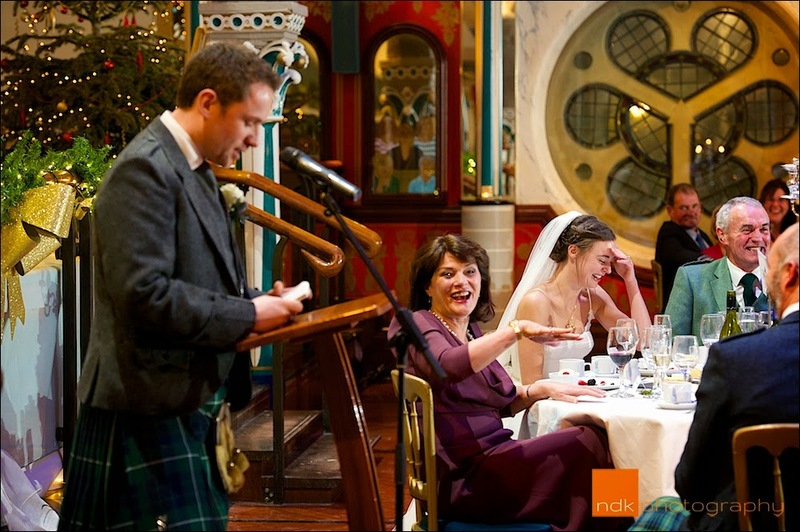 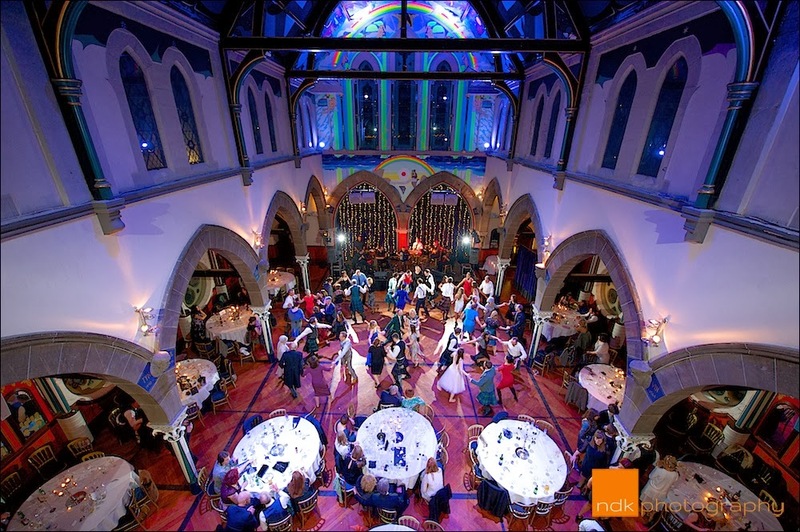 Today we have Lindsey and Stewart who were married at Glasgow University Chapel and Oran Mor in Glasgow's West End just before the New Year. 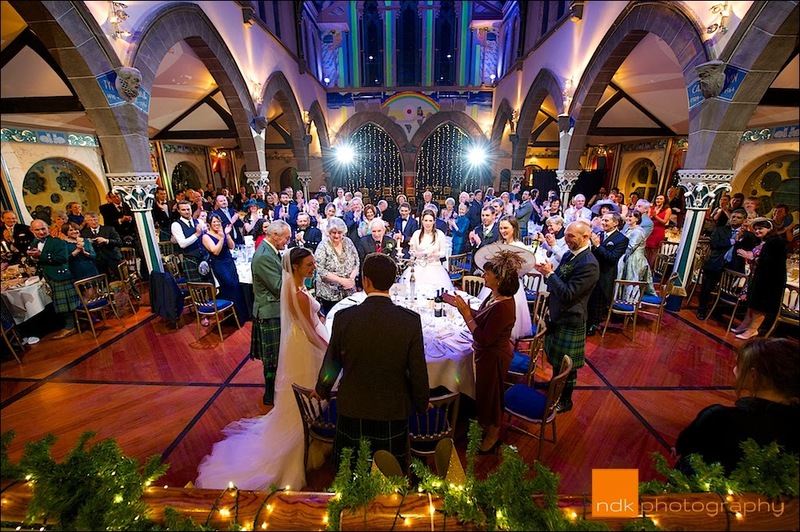 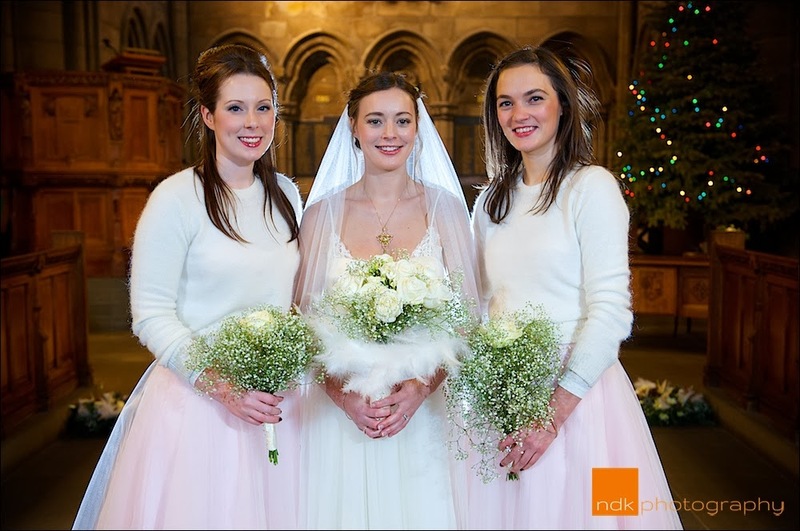 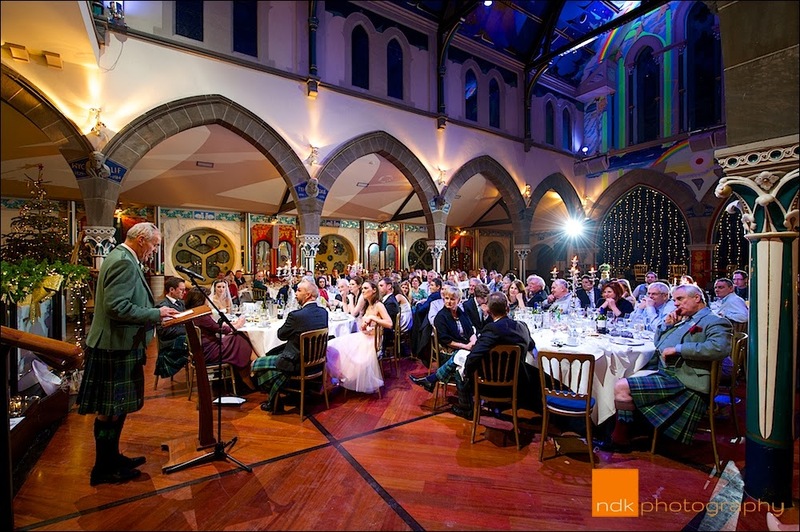 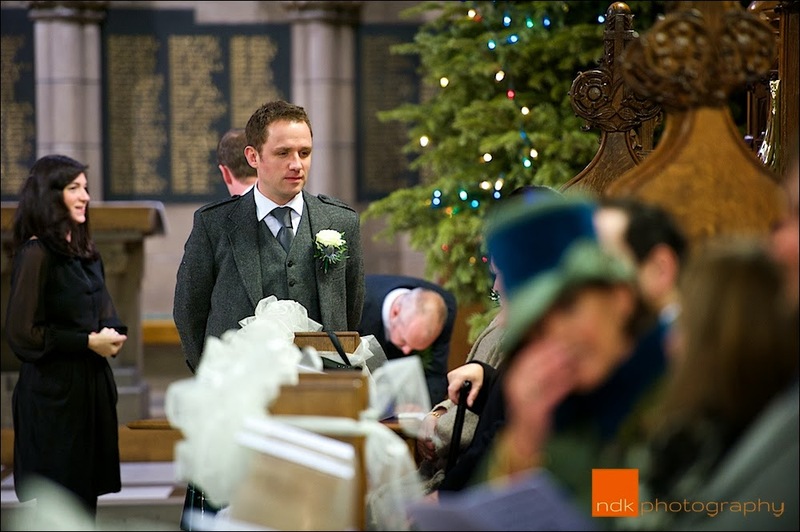 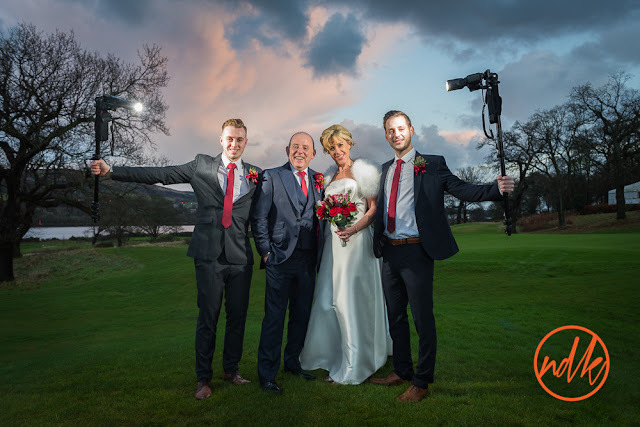 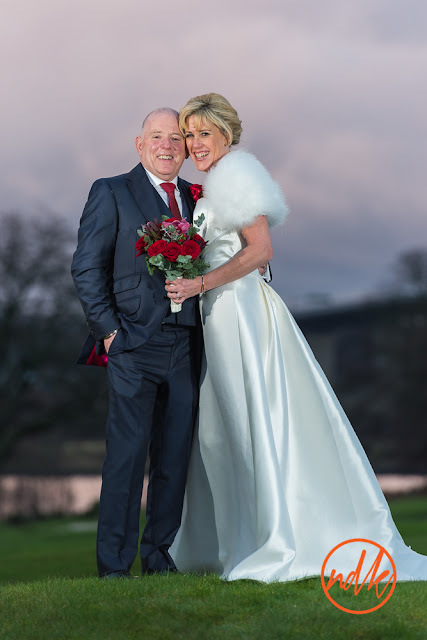 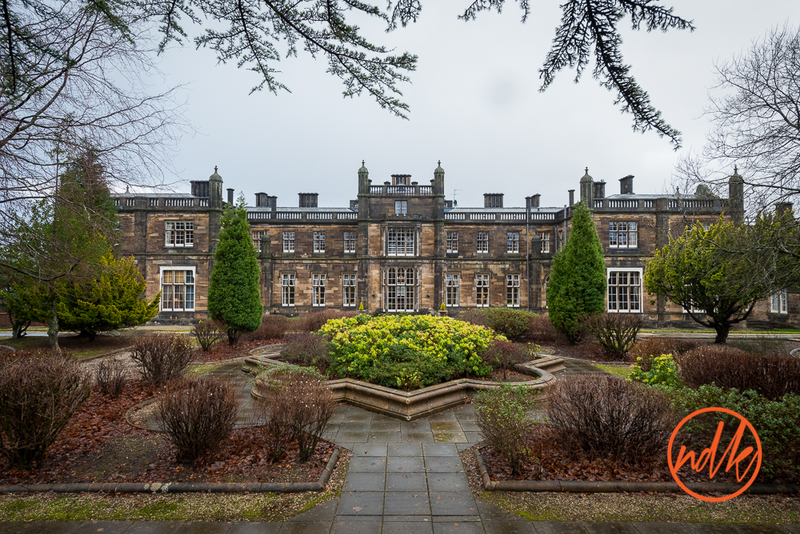 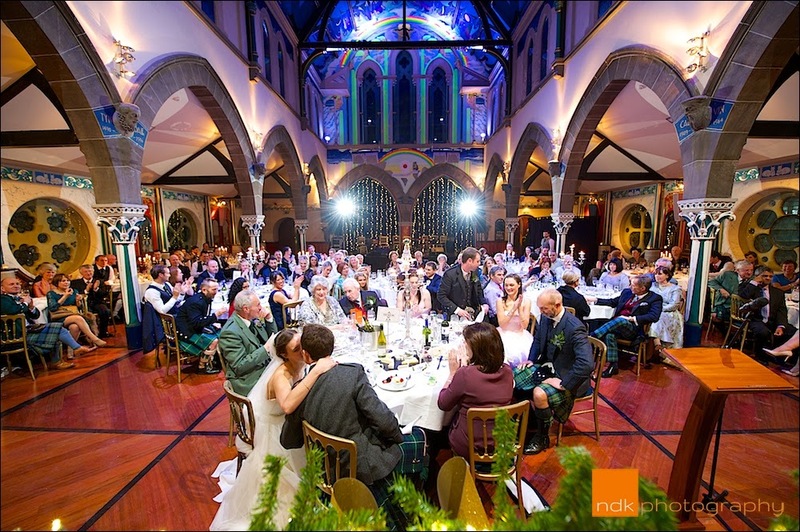 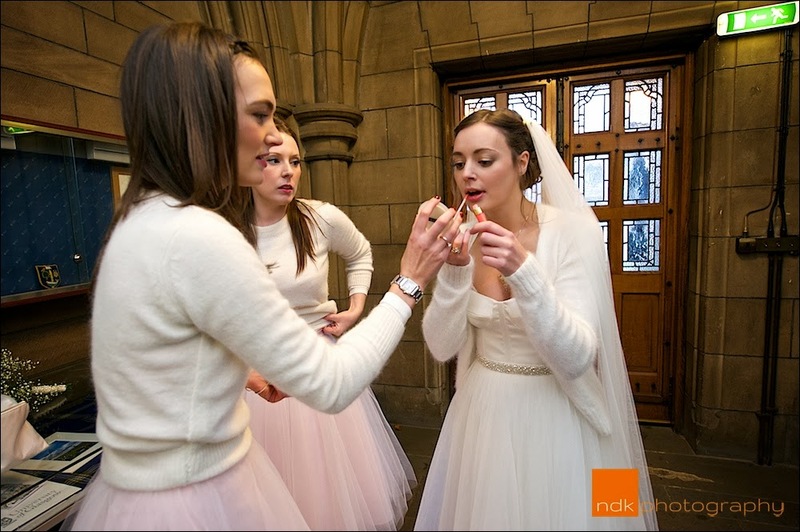 If your reading this in the UK you will be aware of the miserable weather we had over the Christmas period, wet, windy and cold, but I suppose you have to be ready for this possibility for a winter wedding in Scotland! 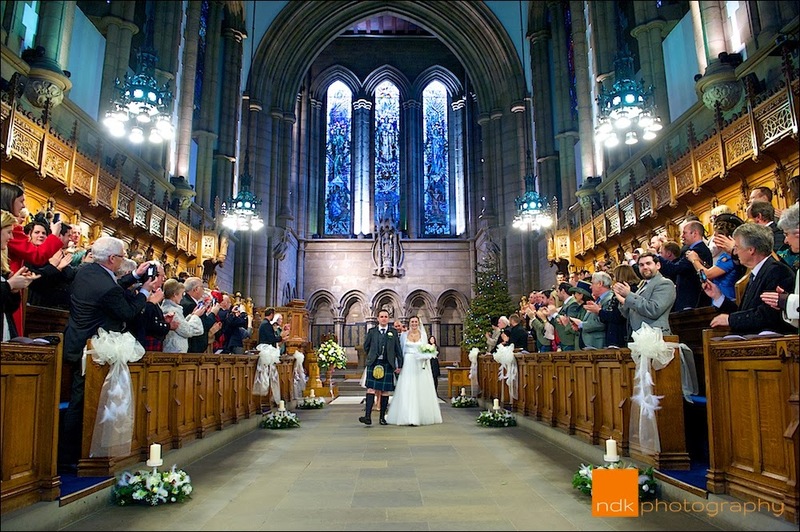 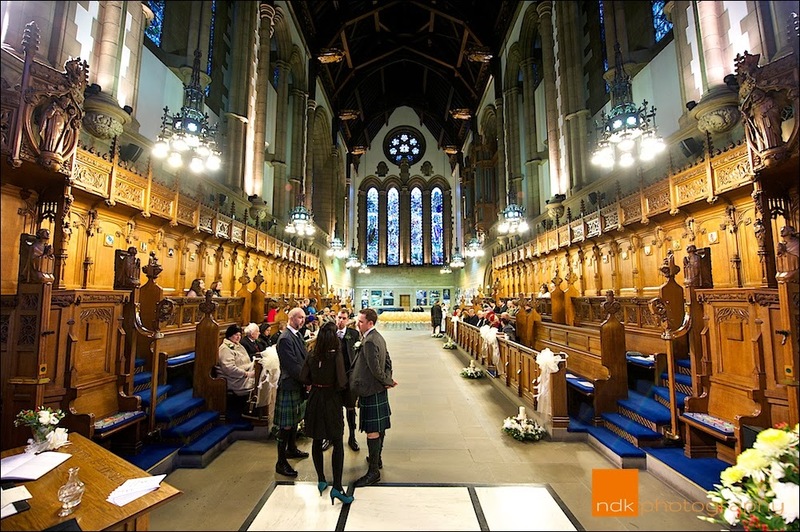 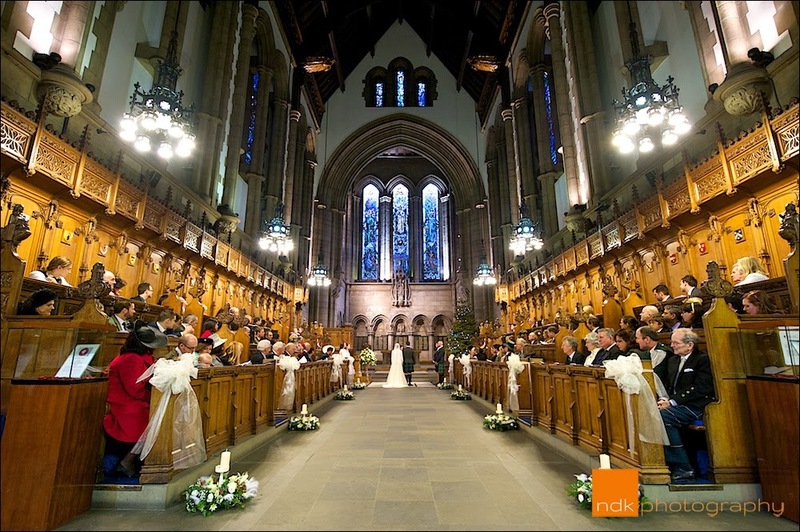 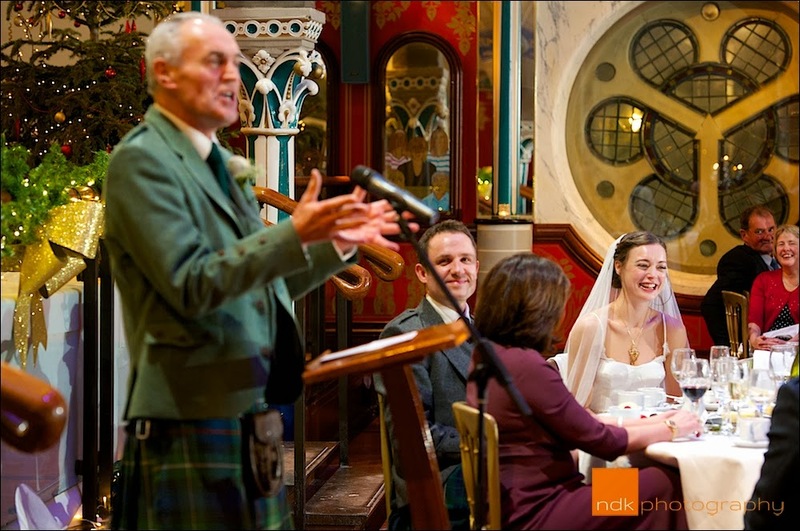 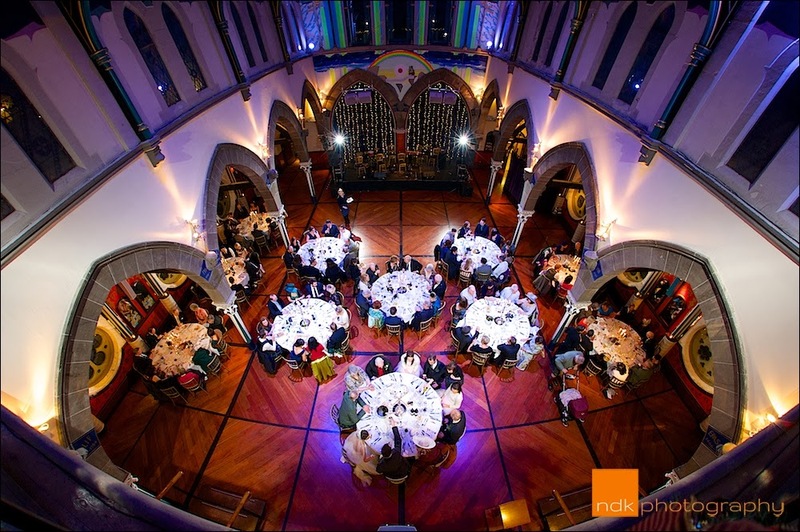 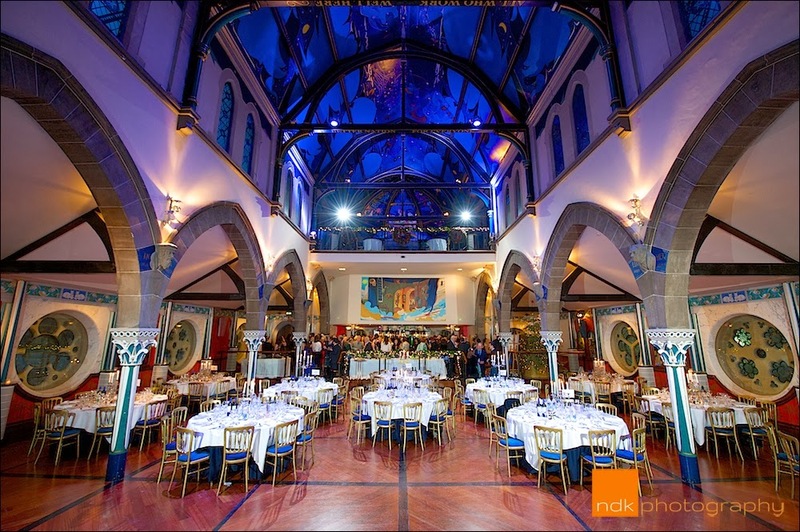 Thankfully though both the University Chapel and Oran Mor are two of the best venues in Glasgow and it doesn't matter how draughty it is outside your wedding day can still be captured beautifully, well by me anyway ;o). 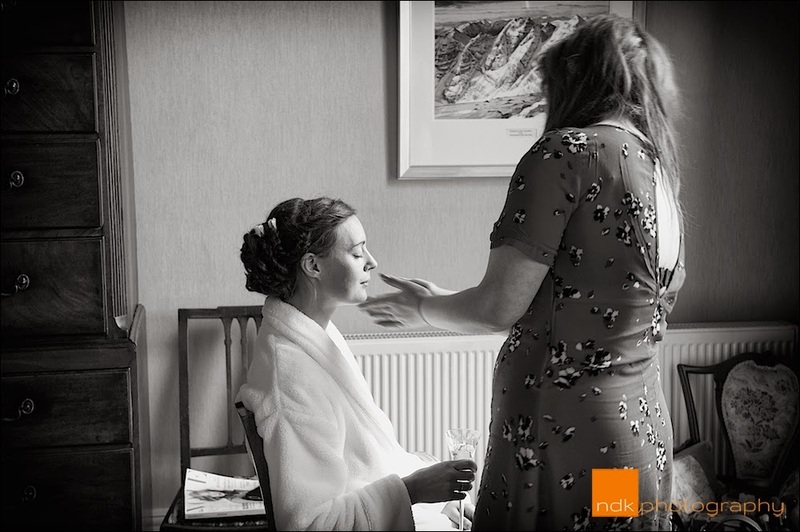 These are a few of favourite photographs from the day, if you were a guest at the wedding and you would like to see a few more, please contact me.